Kapow – Wholesale Gift, Retro Movie, Music and TV Merchandise! 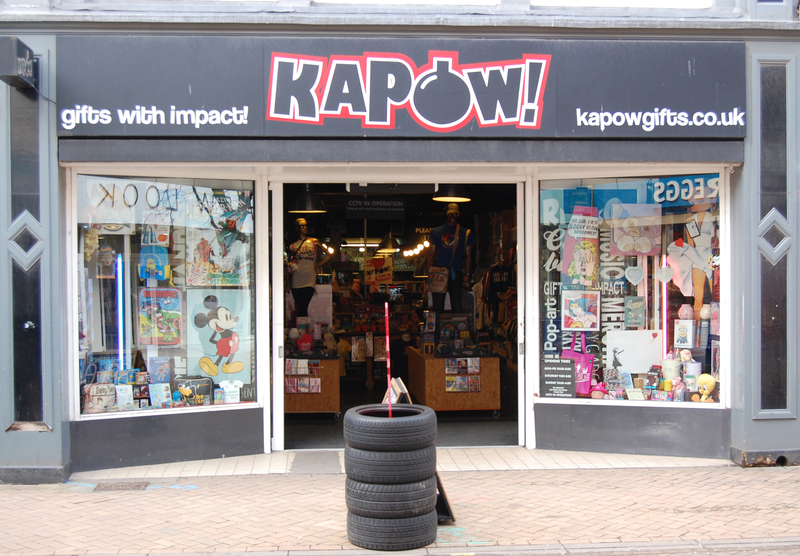 Here at Kapow, we are dedicated to bringing together an ecletic range of toys gifts and novelties to the people of Yorkshire. Based in Hull, in the old town district on Whitefriargate, we stock a wide range of retro and vintage classic branded toys and gifts as well as modern favourties. From classics such as He-Man, Thundercats or Goonies to modern shows such as Game of Thrones, Breaking Bad and more. We stock all the classic board games such as Risk, Monopoly, Guess Who, Twister, Scrabble and Etch a Sketch to new games like Pie Face and more. Come down and see the range of gifts collectable and toys on offer! Kapow Company name is POP ART PRODUCTS KAPOW LTD, Company Number 09907005. Registered 15 Whitefriargate, Hull, HU1 2ER. VAT GB 245 1406 32. Bakes and Cakes by Rara Theme. Powered by WordPress.